The price of the LG V30 has been a bit of a mystery, but stores and carriers in the UK and the US have finally slapped price tags on the flagship. AT&T will have V30 units in stores from October 6 (next Friday) and pre-orders start the day before. On a 30-month plan, the you will be paying $27 a month. That works out to $810 total. T-Mobile will be taking pre-orders from October 5 (next Thursday) and online sales will begin on October 13. T-Mobile’s Equipment Installment Plan will cost $80 up front and $30 a month. Only the Silver version is available. T-Mobile’s 600MHz band is supported. Sprint has not announced pricing yet, but it has exclusivity on the V30+ (the 128GB model). 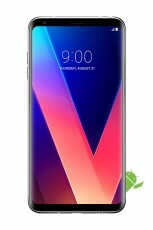 [UPDATE] Verizon will also carry the V30 starting from October 5. Pricing details will be announced later. 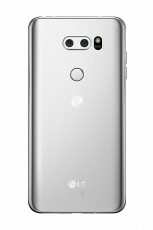 Carphone Warehouse has exclusivity on the LG V30. A SIM-free phone will set you back £800. For comparison, a SIM-free Galaxy Note 8 is £870 on the same site. On contract, the cheapest plan is on Vodafone – you pay £80 up front and then £34 a month. That’s a total of £896 with 24 months of unlimited calls and texts and 1GB of 4G data a month. Delivery is free and the phone will be at your door by November 1 if you choose to buy one. 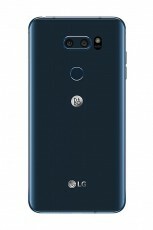 Both color options are available - Cloud Silver, Moroccan Blue (but no, there’s no V30+ here). Note that Carphone lists “headphones” among the retail box contents, but doesn’t clarify if it’s a pair of B&O Play. The LG V30 is hard to find in stores in mainland Europe. The Romanian store is still taking pre-orders at LEI 4,000 (which works out to £765), but that’s about it. I asked Sunrise is it a price for sim free and got this: the prices for our devices are always independent from our subscription plans &#128578; Yes - you are only not able to make a device plan - so you have to pay it at once. I have confirmed it today: you can get the V30 sim-free for 745.-CHF in a Sunrise shop beginning next week (week 42).